2016 has presented some unique challenges for me both personally and professionally. At the beginning of this year, I was running a helpdesk for a building products company by the name of Architectural Testing Inc., or ATI for short. ATI was undergoing a huge transition into it’s new parent company Intertek, and I was tasked with transitioning the helpdesk to the standard Intertek systems. It was quite a large undertaking, the biggest part of which was helping people within ATI understand the change and be ready and willing to make it. Essentially, it was my job to change a culture. Upon completing the transition, it was time for me to either step into a new role there, or move on. With the open position here at Penn Manor, I could not be more excited to take this path and begin an exciting new journey in the world of IT. The new school year opened the flood gates on me, and I was bombarded with the interesting complexities that education brings to technology, and that technology brings to education. It took me quite some time to begin to understand the ins and outs of the educational system, and the needs and goals of the teachers here. At the first faculty meetings at both Central Manor and LeTort Elementary schools, I talked about my commitment to providing the best possible support for these teachers and my attitude toward technology. Teachers should have the freedom to teach, and technology should be a powerful tool in their arsenal. Technology shouldn’t get in the way, shouldn’t break just when they need it, and shouldn’t be intimidating. It is my goal to give these teachers the confidence they need to use appropriate technology in their classrooms, and to be able to focus on teaching, not on whether some device will work or not. This freedom and confidence is as interesting and challenging as the cultural transition I faced at ATI, or even more so. During this coming semester, I will be implementing some practical things that I believe will help to move these buildings in a good direction. It will be exhilarating to see what the staff and the students will be able to do together in the coming months with just a little support and direction. Betty Nissley worked with 5th grade at CM over the course of several weeks to generate the content for our Fun Fact Friday today. It was a hit. 6th grade at Letort finished a video project today. The assignment was to make a video giving a review of a particular book. This was quite a challenging exercise! In order to finish the project, students had to work as a team, crafting slides and props, developing a narrative, recording audio and video, and in some cases reaching outside the box to generate content. Here is a video one of the teams made. This is 100% student generated content! The hardest job was the editor, who’s task it was to add all the video clips, audio, pictures and other resources to openshot and export a final cut. Some of them learned the hard way that an hour or more of work in openshot can quickly disappear with a simple misstep in where the files are saved. Techy Talk: Our student laptops take advantage of the guest account for user access, which doesn’t allow files to be saved through reboots. 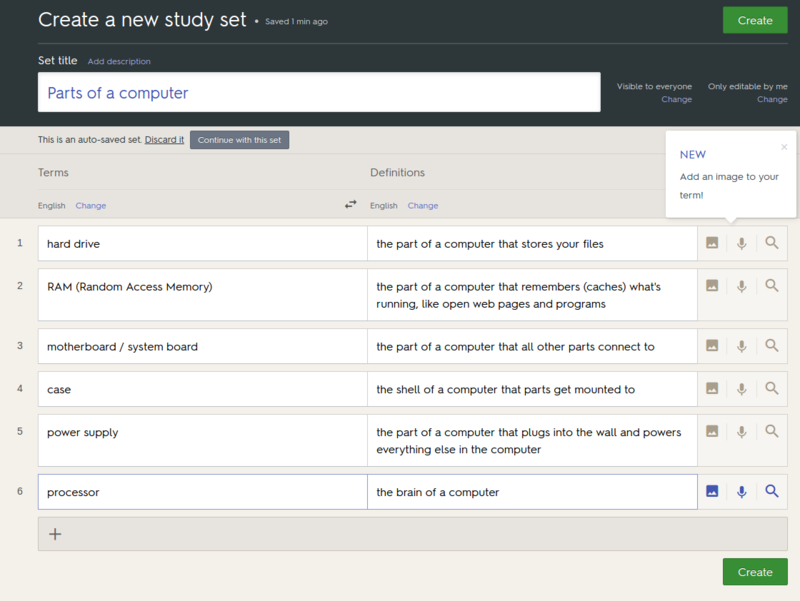 We provide a “student work” folder in the image so that files can be saved there from the guest account. A project in OpenShot is simply a file with references to the locations of the files in it, which saves hard drive space and processing time. If any files are added to OpenShot from a location outside the student work folder, the project will crash when OpenShot opens, and there’s no way to recover it (that I was able to find). 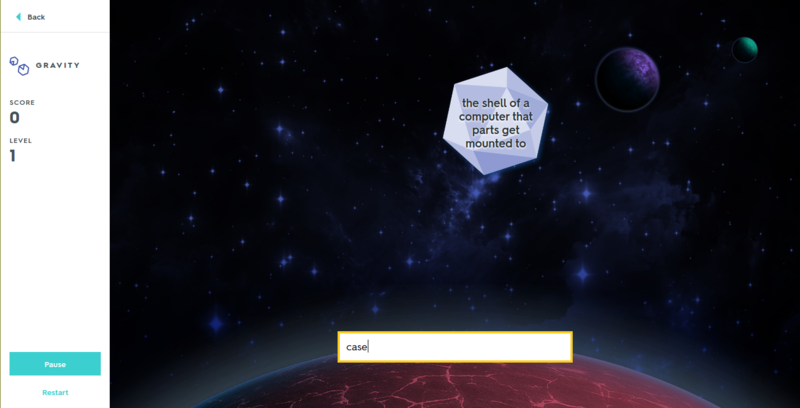 Once we figured out how to work around the glitch, the projects mostly sailed calmly to completion. Finishing a project like this is always rewarding. Students gave great feedback after each video and talked about the things they learned. This classroom is now ready to tackle a project like this again, hopefully with very little help from me, which they plan to do in late January. Today I will start working with Beth Mitchell’s class at LeTort on a video project. Students will work in groups of 4 to make a video on a given topic. Making a video can be a challenging exercise. Since each group will have 4 people, we will break up the project into 4 distinct roles to make it easier for each person. 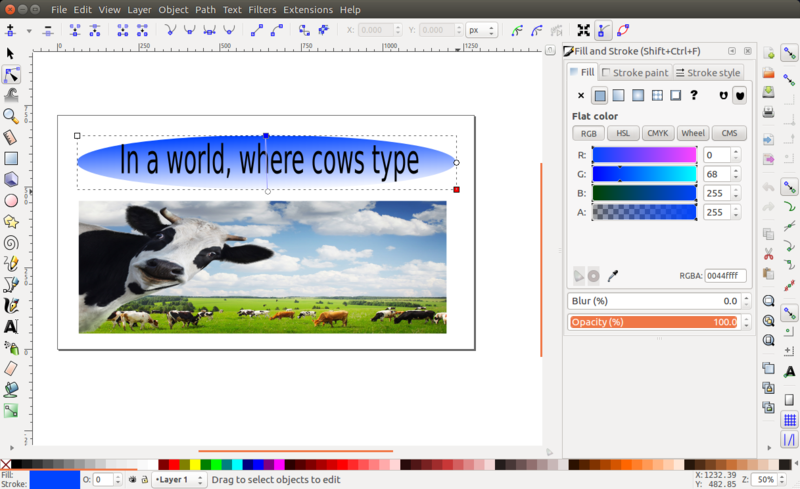 One person will use Cheese to record photos and videos, another will make slides and titles in Inkscape, and another will put it all together in OpenShot, depicted here. With all these moving parts, it will be important for each team to have a leader who will guide their project to completion. This will be a great springboard for future projects involving elementary students at Penn Manor. 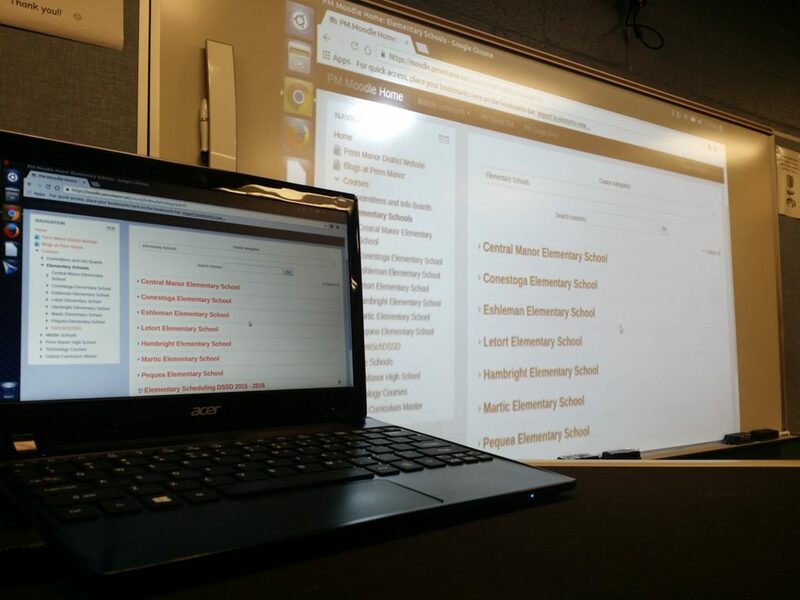 Penn Manor teachers and students interact with a wide range of online platforms and websites. 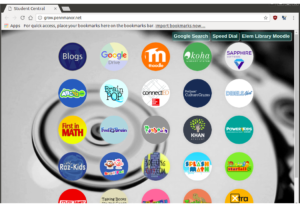 These sites each have a lot of value for the kids. Recently, I have started exploring these one at a time in a little more depth. 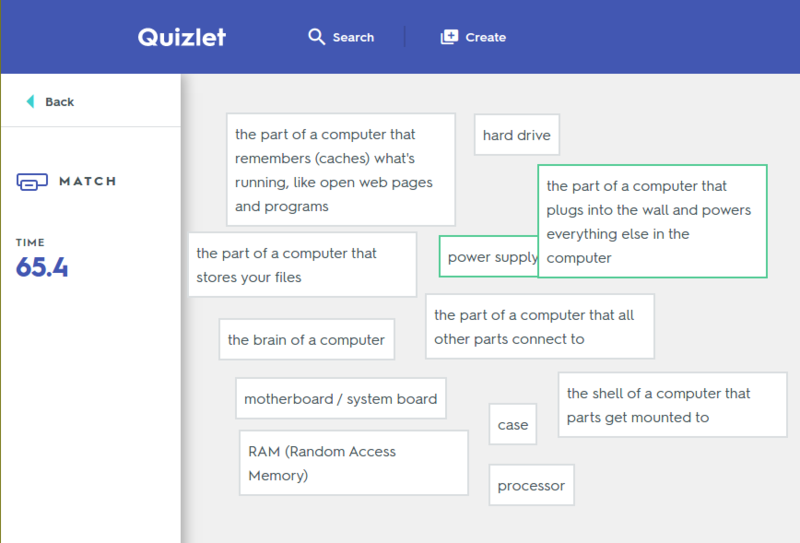 It’s been very exciting to learn all the features of these web apps, and I’m looking forward to having better answers to questions that teachers have about them. Our topic last Friday for Fun Fact Friday at Central Manor was Antarctica. 1st grade has been learning about the land of ice, and on Friday, they had a little taste of what it might be like on the coldest continent. Among the interesting facts on the screens was a live webcam at McMurdo Station, facts about wildlife and geography there, and a time-lapse of the never setting sun over the south pole.